Blues aficionados and musicologists alike will want to take notice of the new release by Eric Bibb (and partnered with JJ Milteau) entitled, Lead Belly’s Gold, the new album tribute to the legendary blues and folk musician. This blues treasure chest features 11 live tracks recorded at famed Paris jazz club, The Sunset, as well as five new studio recordings. “It’s hard to remember when I first heard Lead Belly’s music because, somehow, he’s always been around,” writes Eric Bibb’s in the album’s liner notes. “Most likely, I heard recordings of others (The Weavers and Woody Guthrie) singing songs from his huge repertoire before hearing his actual voice. “In any case, I have an early memory from the mid-1950s of listening to a recording of Lead Belly singing a children’s song, ‘Ha Ha This-a-Way’. At that time, my dad, Leon, was beginning to make his name known in New York City folk music circles. He recently told me he remembered hearing Lead Belly perform at The Village Vanguard in the late 1940s. “So, the soundtrack of my childhood included more than a few of the great bard’s songs. The sound of his 12-string guitar is part of my DNA. “What I hear now, when I listen to Lead Belly’s recordings and YouTube clips, and what I must have sensed when I was a boy, is the man’s personal power and independence. His sound made it clear that he was his own man. The fatalism and resignation that I heard later in the voices of many of my prewar blues heroes was missing in Lead Belly. He was way ahead of his time. The path he cut through a world that conspired to rob him of his humanity, dignity and manhood was a personal triumph that will inspire for generations to come,” adds Bibb. Indeed, the music of Huddie Ledbetter (aka “Lead Belly”) that he either wrote or popularized from traditional songs, resonated with everyone from folk and blues musicians of the 1940s/1950s, to rock and roll artists starting in the 1960s/1970s and continuing to the present day. Songs like “Midnight Special” became a part of the set lists of such rock acts as Creedence Clearwater Revival and Johnny Rivers, to name a few; while classic tunes “Good Night Irene” and “Rock Island Line” were staples in the repertoire of folkies such as The Weavers and Woodie Guthrie, and blues performers still regularly record and perform songs associated with Lead Belly. “Endowed with an uncommon talent, he generated around his person a sense of fraternity that awarded him the protective help of the Lomaxes, favored artistic collaborations with Pete Seeger and other liberals in the 1940s, and aroused the empathy of the young audiences he loved to entertain,” states JJ Milteau. “Yet his main claim to fame is linked to his personal power and conviction as an interpreter. No one is left unscathed by Lead Belly’s voice, by the sound of his guitar, both distant and familiar. Only great artists showcase such timelessness while chronicling their times. “Working with Eric on this project has been a real treat. Each and every song came to us in a natural and spontaneous way. The majority of titles present on this album were recorded live, with or without an audience, in order to preserve this freshness. I’m looking forward to more stage performances around this project,” Milteau says. 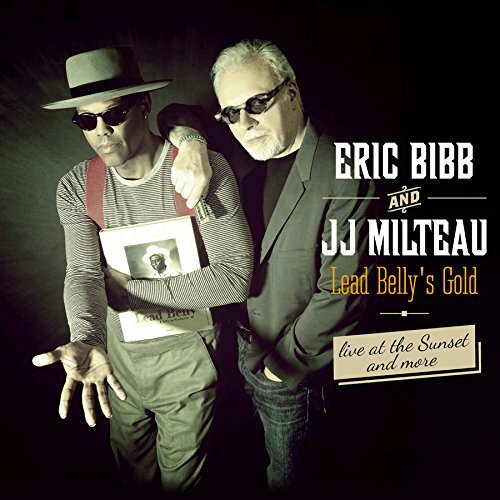 Lead Belly’s Gold features both material from the Lead Belly canon, as well as original songs written by Eric Bibb and JJ Milteau as a salute to their mentor. 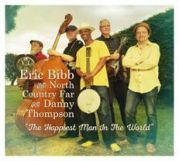 Additional musicians on the album include Larry Crockett - drums and percussion; Big Daddy Wilson and Michael Robinson - backing vocals; Gilles Michel – bass; Glen Scott - drums, bass and Wurlitzer; and Michael Jerome Browne - 12-string guitar and mandolin. “Lead Belly was a human jukebox,” summarizes Eric Bibb. “He knew hundreds of songs that he’d either heard somewhere and adapted, or written himself. Authorship of many of the songs he sang has long been a controversial topic of heated debate in folk music circles. What is clear is this: if not for Lead Belly and the collectors who first recorded him, we might never have heard many of these timeless songs. “Jean-Jacques and I chose songs from Lead Belly’s vast repertoire that we could make our own. 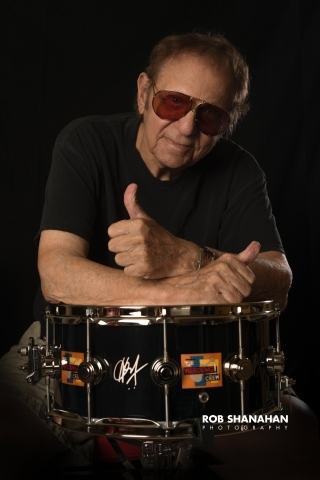 We wanted to pay homage to not only a great musician, but to the rich tradition he embodied. Staying pretty close to his renditions, we had a lot of fun collaborating on these new arrangements.